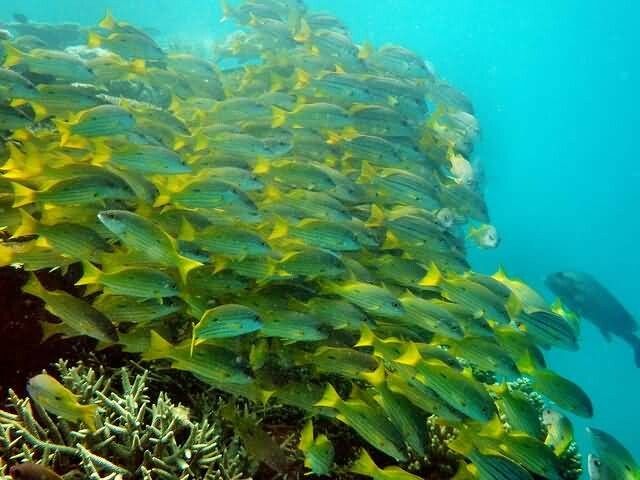 The Great Barrier Reef is the world’s largest coral reef system, composed of over 2,900 individual reef and 900 islands stretching for over 2,300 kilometres over an area of approximately 344,400 square kilometres. 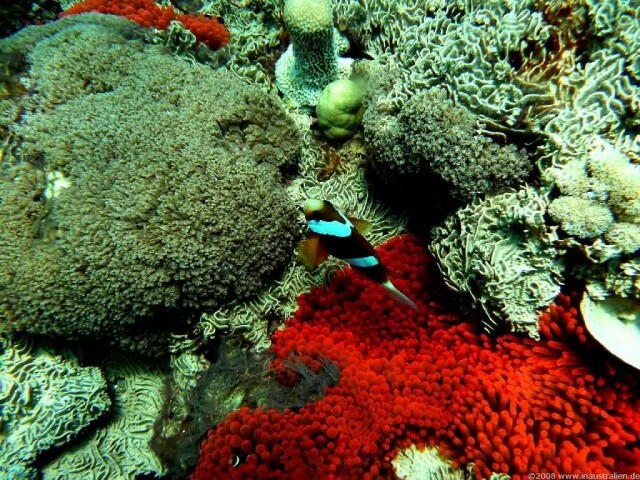 The reef is located in the Coral Sea, off the coast of Queensland, Australia. The Great Barrier Reef is a distinct feature of the East Australian Cordillera division. It includes the smaller Murray Islands. Thirty species of whales, dolphins, and porpoises have been recorded in the Great Barrier Reef, including the dwarf minke whale, Indo-Pacific humpback dolphin and the humpback whale. Large populations of dugongs live there. 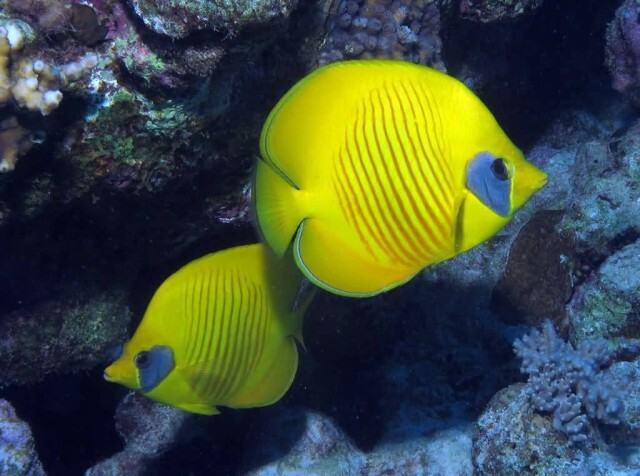 More than 1,500 fish species live on the reef, including the clownfish, red bass, red-throat emperor and several species of snapper and coral trout. 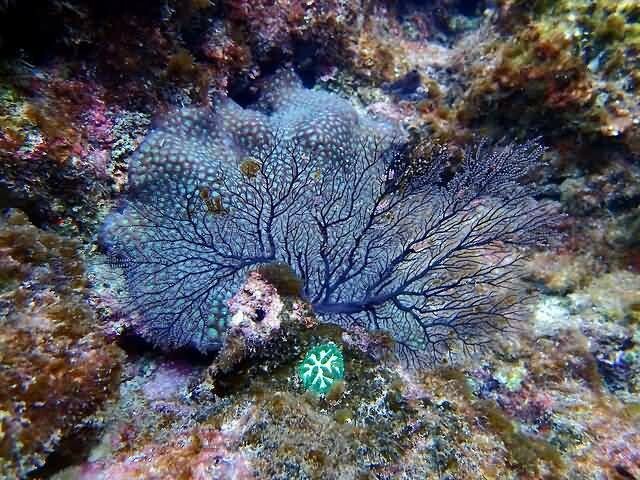 There are at least 330 species of ascidians on the reef system with the diameter of 1–10 cm. 215 species of birds, including 22 species of seabirds and 32 species of shorebirds visit the reef or nest or roost on the islands, including the white-bellied sea eagle and roseate tern. Most nesting sites are on islands in the northern and southern regions of the Great Barrier Reef, with 1.4 to 1.7 million birds using the sites to breed. 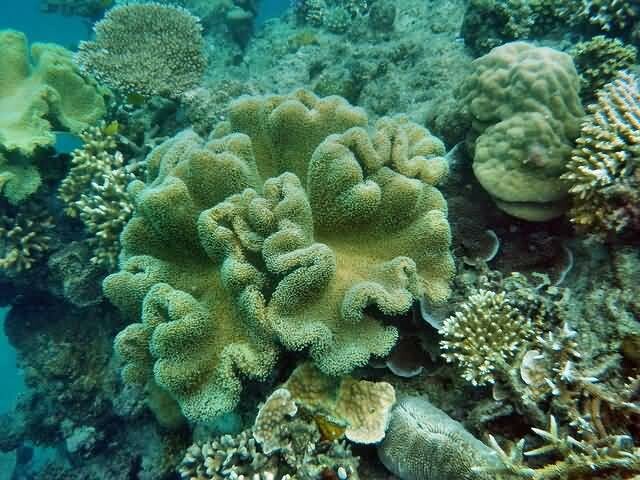 The islands of the Great Barrier Reef also support 2,195 known plant species, three of these are endemic. The Red Sea or what is sometimes called the Erythraean Sea, is a seawater inlet of the Indian Ocean, lying between Africa and Asia. The Red Sea water mass-exchanges its water with the Arabian Sea, Indian Ocean via the Gulf of Aden. 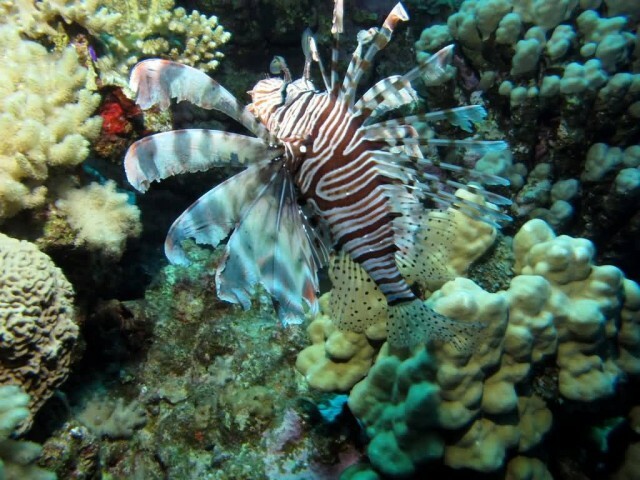 The Red Sea is a rich and diverse ecosystem. 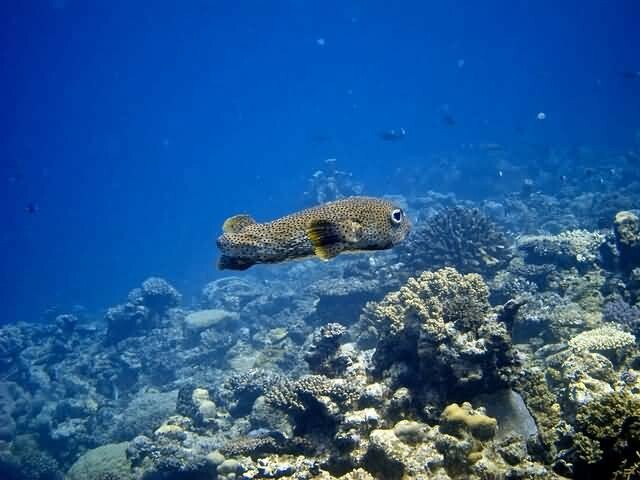 More than 1200 species of fish have been recorded in the Red Sea and around 10% of these are found nowhere else. This also includes 42 species of deepwater fish. 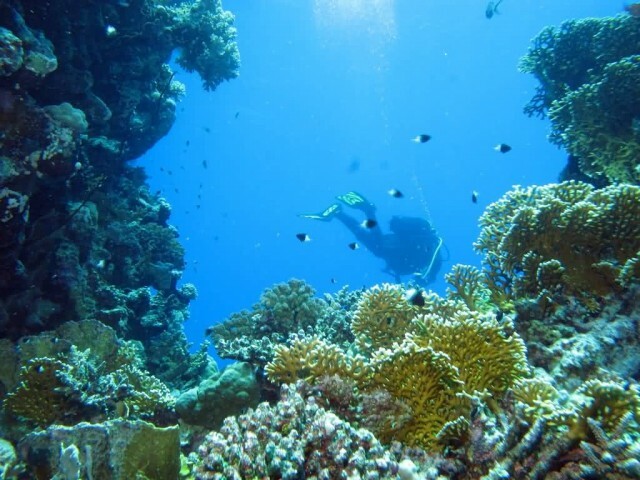 The reefs form platforms and sometimes lagoons along the coast and occasional other features such as cylinders such as the Blue Hole at Dahab. 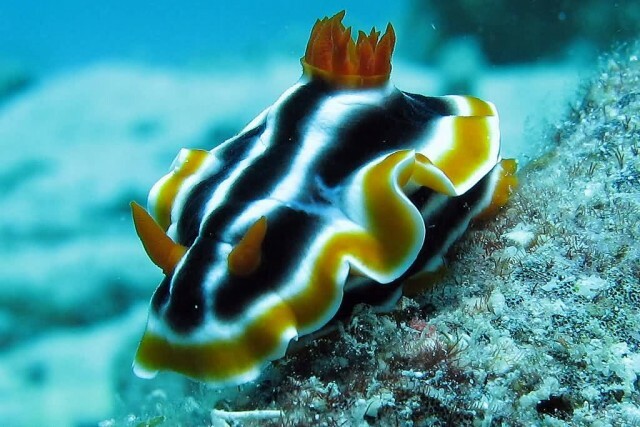 Divers and snorkellers should be aware that although most Red Sea species are innocuous, a few are hazardous to humans. Other marine habitats include sea grass beds, salt psans, mangroves and salt marshes. The New Caledonia Barrier Reef is located in New Caledonia in the South Pacific and is the second-longest double-barrier coral reef in the world after the Belize Barrier Reef. 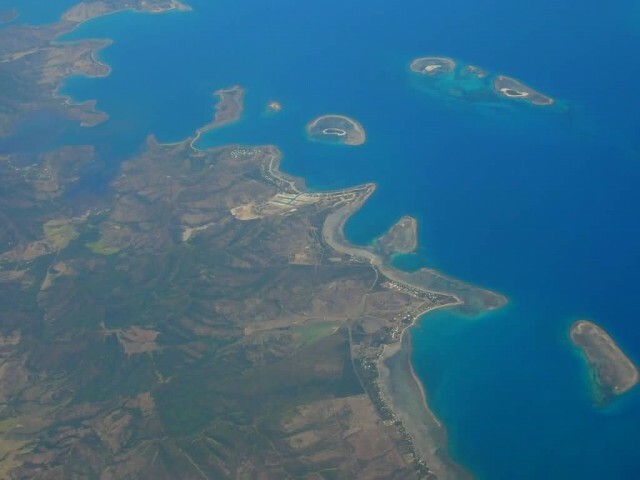 The New Caledonia Barrier reef surrounds Grande Terre, New Caledonia’s largest island, as well as the Ile des Pins and several smaller islands, reaching a length of 1,500 kilometres. The reef has great species diversity with a high level of endemism and is home to endangered dugongs and is an important nesting site for green sea turtle. In the lagoons of New Caledonia there are many water species ranging from plankton to larger fish and even sharks. 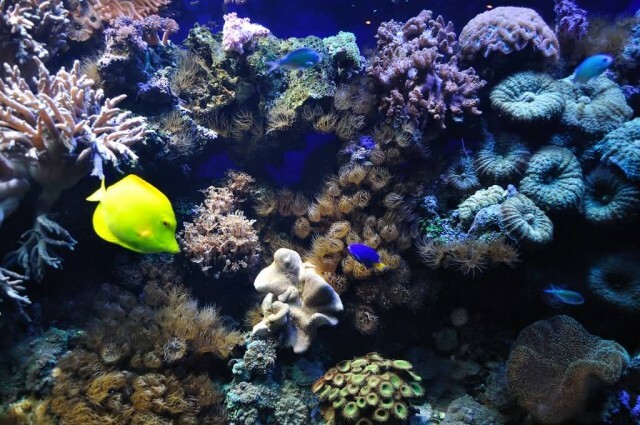 The Mesoamerican Barrier Reef System, also popularly known as the Great Mayan Reef or Great Maya Reef, is a marine region that stretches over 1000 km from Isla Contoy at the tip of the Yucatán Peninsula down to Belize, Guatemala and the Bay Islands of Honduras. 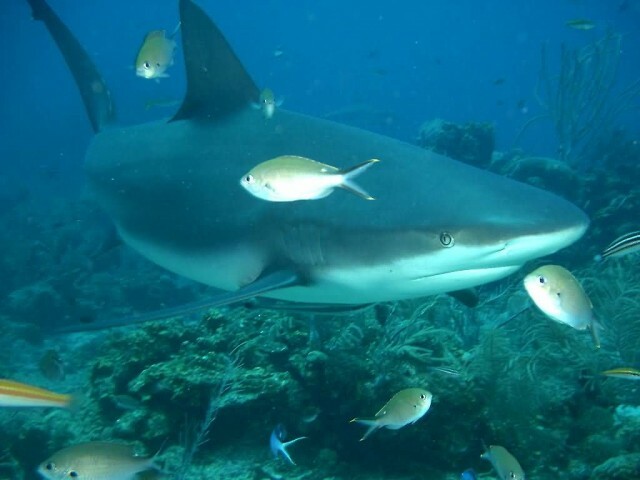 The reef system includes various protected areas and parks including the Belize Barrier Reef, Arrecifes de Cozumel National Park, Hol Chan Marine Reserve, Sian Ka’an biosphere reserve and the Cayos Cochinos Marine Park. 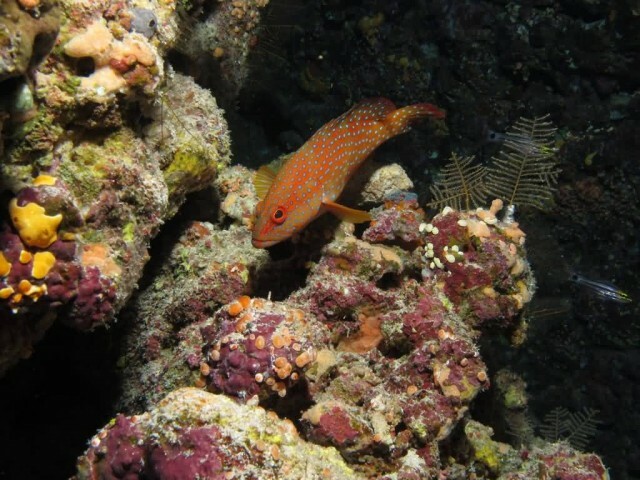 The reef system is home to more than 65 species of stony coral, 350 species of mollusk and more than 500 species of fish. 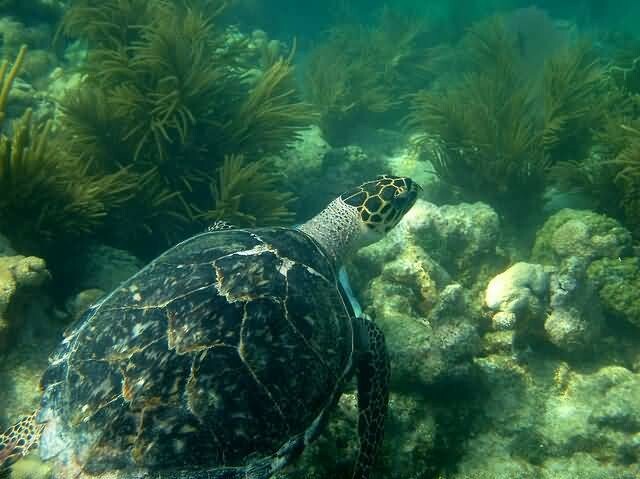 There are numerous species that live in or around the reef system that are endangered or under some degree of protection, including the following: sea turtles, Green turtle, Loggerhead Sea Turtle, Leatherback turtle and the Hawksbill turtle, the Queen Conch, the West Indian Manatee, the Splendid toadfish, the American crocodile, the Morelet’s Crocodile, the Nassau grouper, Elkhorn coral and black coral. The reef system is home to one of the world’s largest populations of manatees, with an estimated 1,000 to 1,500 of them. The Florida Reef also known as the Great Florida Reef, Florida Reef Tract is the only living coral barrier reef in the continental United States. It is the third largest coral barrier reef system in the world . The Florida Reef consists of two ridges separated from the Florida Keys by the Hawk Channel. Closest to the Keys is a sand ridge called White Bank, covered by large beds of sea grass, with patch reefs scattered across it. Further out to sea on the edge of the Florida Straits is the second ridge forming the outer reefs, covered by reefs and hard banks composed of coral rubble and sand. 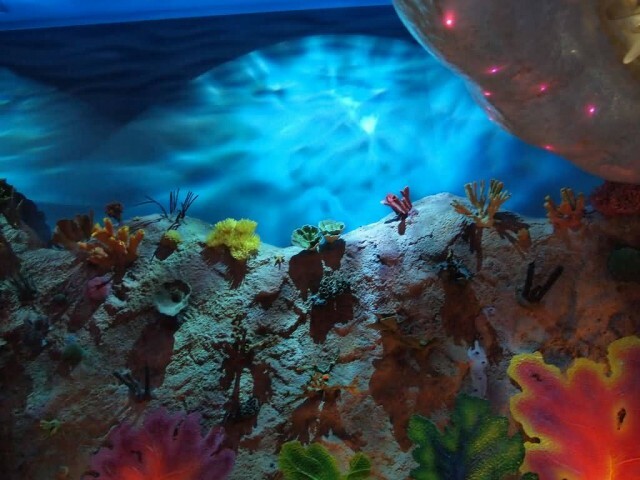 The Florida Museum of Natural History defines three communities on the Florida reefs. 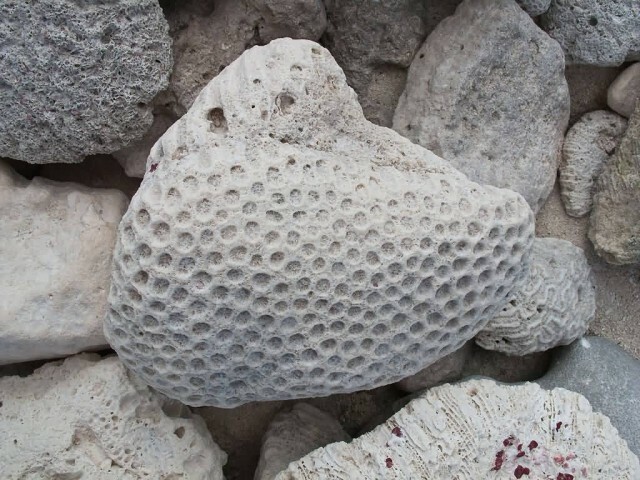 The hard bottom community lies closest to the Florida Keys and consists primarily of algae, sea fans and stony corals growing on limestone rock that has a thin covering of sand. Second is the patch reef community. 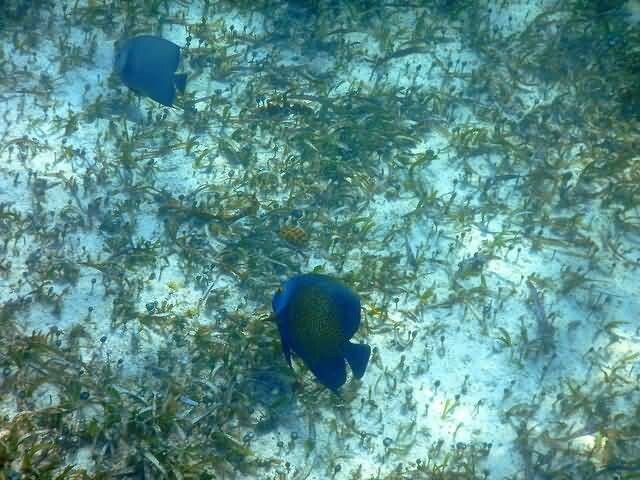 Patch reefs form in shallow water about three to six meters deep, some in Hawk Channel and some on the outer reef, but mainly on White Bank between Hawk Channel and the outer reefs. Third is the bank reef community. Bank reefs are larger than patch reefs and are found on the outer reefs.